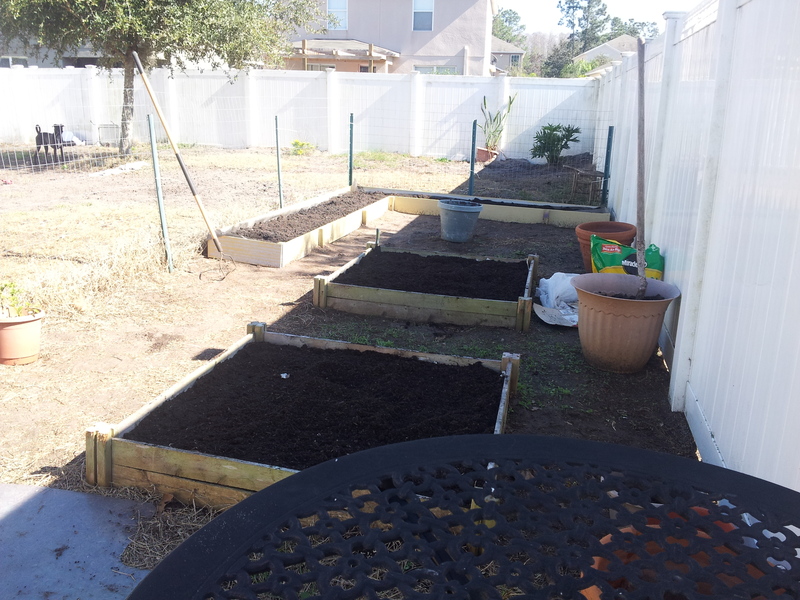 This entry was posted in Backyard Chickens, Blogging, Gardening, Just Zennish and tagged chicks, squirrel, vegetable garden, veggies by Kinda Zennish. Bookmark the permalink. I have been thinking about trying to start a garden for years but with the rabbits, chipmunk, deer and my dog i figured out would be a lost cause. Btw what is in the last pic? I had to put up a fence to keep out my dogs and other critters, so far (cross fingers) that hasn’t been a problem. 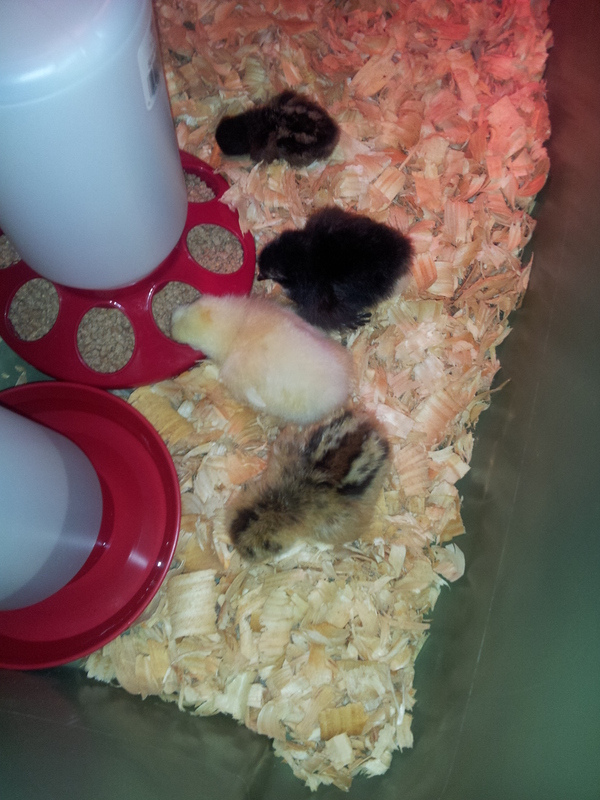 The last pic is my chicks I bought last weekend! You know if you hadn’t been posting all of those pics of your chicks hatching right when I was trying to decide whether or not to get some I may have been able to talk myself out of them. 🙂 I’ve only had them a week but so far they are awesome! So here’s the thing ! When much of life involves plans it seems cathartic to take detours and natural enough to get passionate about them. Sometimes in retrospect I can connect the dots and see some type of bizarre fit between what seemed like a random aberration and the rest of my life. Other times either I just don’t see it or it really is just a side trip. Either way, always fun. Don’t let the squirrels run off with your lettuce ! I have to admit, the detours are my favorite part. I think every animal and bug likes to live in my yard. Plus the fact I don’t get much sun. Last year I decided I was going to outsmart them all. I started growing tomato plants from seeds indoors. I bought two planters for tomatoes on wheels so I could move them around to get the sun. When the seedlings I grew were ready to go outside, I put them in the carts. I then put fencing around them to keep out the squirrels and rabbits. I had a bumper crop. There is always a way to skin a cat. You just have to keep working at it. I put in a new garden area so I could spread out my tomatoes more this year, last year my downfall was an incredible amount of rain – my plants actually molded. I’m hoping this year won’t be so rainy and the space will give them an opportunity to dry out between times. If it doesn’t work this time I’m going your route next time, that’s what some of my neighbors do too! Ugh!!! Slugs are my bane. I love to garden and slugs make me seriously mad. With spring coming early this year, so are the slugs. The good news is there are some really good solutions out there to abate their onslaught. I use Sluggo an environmentally friendly slug bait that doesn’t harm birds or other animals, just slugs. I love my squirrels too, but they can play havoc on the bird feeders… LOL. That’s how I do everything in life! Get inspired, try it, later learn how I should have done it to save myself all the hassles I now have. Like with starting a blog. I blame it on the creative gene. In fact, I was in conversation with my husband (a very linear-thinking engineer) the other day, when I yelled “squirrel!” and pointed to the backyard. It was really a squirrel, but I’ll never live that moment down. Have you ever tried using beer or grapefruit peels in your garden to catch the slugs? My parents use them pretty regularly. Beer = cut the bottom off a water bottle (1/2 inch) and fill it with beer and place it in the garden. Slugs are attracted to it for some reason…..I might be a slug. Or even better (2) cut a grapefruit in half peel the rind off (keep it as intact as you can) and up it in your garden. Slugs are attracted to that too. We have turtles so every day or so my parents collect the slugs and feed them to the turtles. You can of course dispose of them however you want. Haha! I can totally relate to this post. Most of my garden died last year and I like the idea of starting it up again this spring, but not sure I’m ready to tackle that project just yet. Thanks for an enjoyable read.